AnaiRhoads.org - According to a statement made Tuesday by Fisheries Minister Arni Mathieson, Iceland will go forward with the slaughter of at least 25 minke whales by the end of this summer. Iceland returned to whaling last year after keeping the programme dormant for nearly 14 years. In 2003, the arrangement was to kill 100 minke whales, 100 fin whales and 50 sei whales, setting the minimum at 250 whales annually. Iceland claims that killing the minke whales is part of important research to benefit local marine eco-systems. However, the International Fund for Animal Welfare (IFAW) has noted that the whale meat is being sold to supermarkets and restaurants all across the region. 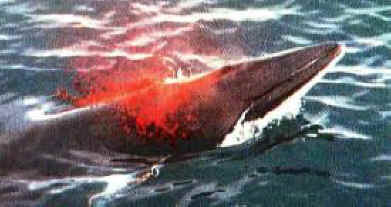 IFAW states the 2004 quota was revised to include 25 minke whales but no additional fin or sei whales. "This is a move in the right direction," said Fred O'Regan, president and CEO of IFAW. "We welcome the fact that Iceland is dramatically reducing the number of whales it intends to slaughter in the name of science. But it is time for the Icelandic government to face reality: there is no future in killing whales for the commercial market. The real economic opportunity lies in the expansion of responsible whale watching, a truly sustainable industry that protects whales and economic livelihoods." Whale watching attracts an estimated 72,000 tourists in Iceland every year, bringing in more than $14.6 million annually into the Icelandic economy. Despite a diplomatic demarche to the Icelandic Government by 23 countries, Iceland continues forward with their plans to kill whales. Iceland, Norway and Japan are the only three countries in the world that hunt whales in defiance of an international moratorium.